Genius, a photo by modernemama on Flickr. 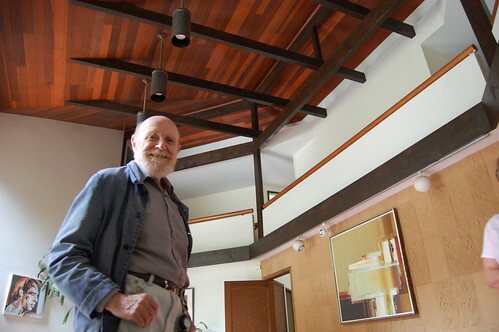 Mid-century architect, designer and artist Andrew Geller passed away yesterday leaving a huge legacy. He will be greatly missed by all. Our condolences to his family at this sad time, we are thinking of you. A loss to the design world and your world. Such a great photo of him. How thrilled he must have been to see/know how much you appreciated his work. He's lucky to have his legacy live on in your gorgeous home.